The much-awaited compact SUV from Proton is finally launched in the local market at a starting price of RM99,800. The SUV was also displayed at the 9th edition of Kuala Lumpur International Motor Show. The car was first revealed in September and has been making previews around the country since. At this price point, it is put against the likes of Ford EcoSport, Haval H2, and Peugeot 2008. The Proton X70 is available in four variants - Standard 2WD, Executive 2WD, Executive AWD, and Premium 2D. The SUV is offered in five color options - Snow White, Armour Silver, Jet Grey, Cinnamon Brown, and Flame Red (availability depends upon the variant selected). Powering the X70 is a 1.8-litre TGDI engine producing 183 PS of power and 285 Nm of torque. This motor is connected to a 6-speed automatic transmission with a drive mode selector. Have a question on X70? X70 is available in 5 different colors - Flame Red, Snow White, Cinnamon Brown, Armour Silver and Jet Grey. 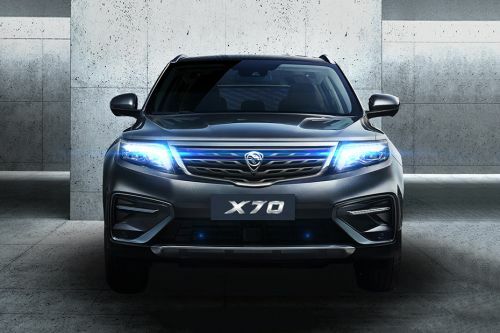 What are the Safety Features Available in Proton X70?